Pepper & Chocolate: House of windows. One couple, one house and a lot of windows. Actually, the entire façade is made entirely with windows. 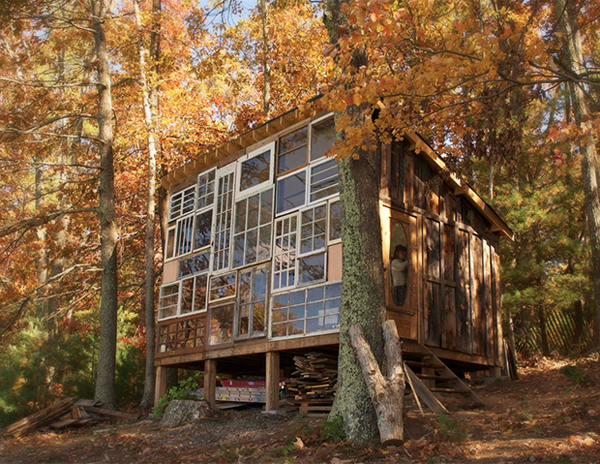 Watch this documentary by Matt Glass and Jordan Wayne on the makers, Nick Olson and Lilah Horwitz, and their "house of windows". Half Cut Tea . com | Nick Olson & Lilah Horwitz from Matt Glass on Vimeo.